You can purchase this classic piece at my online boutique HERE. 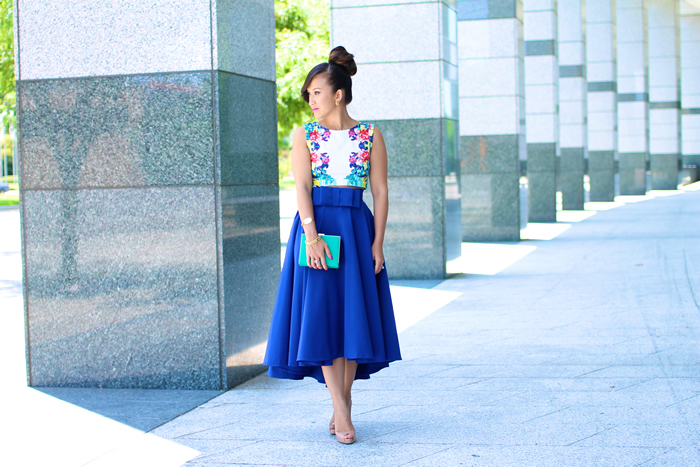 Hi, I love this skirt in both fushia and royal blue but my size in Small, will you be getting more sizes? 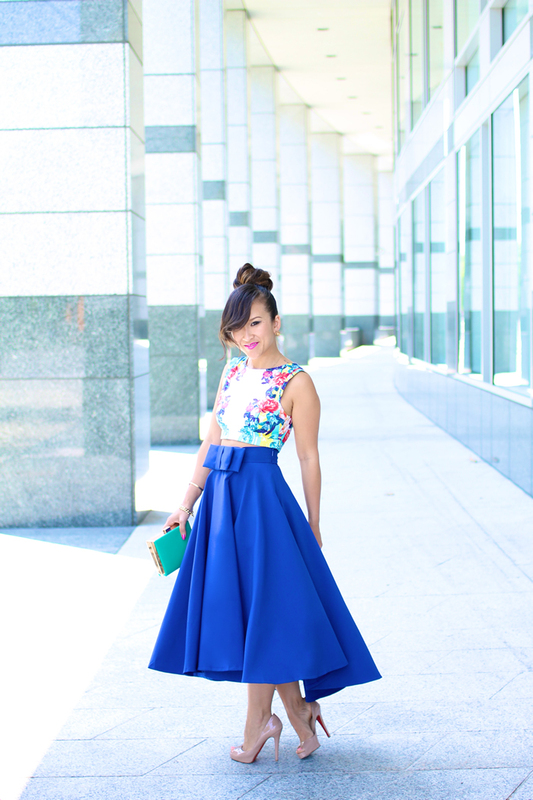 Could you restock this blue skirt in size small? I desperately want it!!!!! Thanks! gorgeous! love the outfit & photos! Definitely one of my favorite looks! The waist doesn’t suit my body type, but I love the aesthetic. you are looking gorgeous! you are rockin that skirt! wow stunning love that skirt! 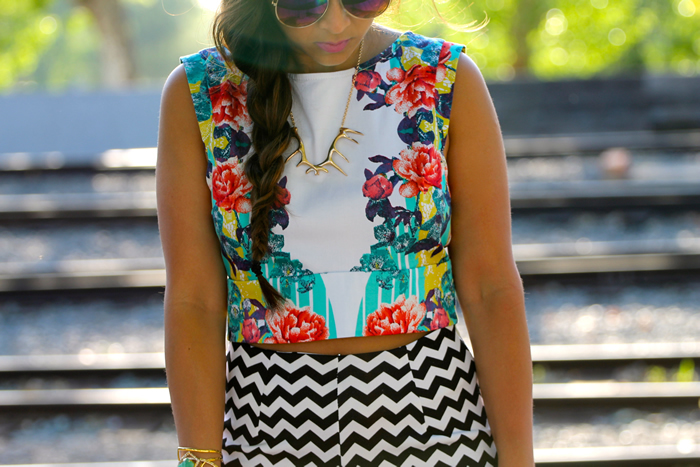 I’ve never seen anyone dress a crop top like that, so I think this outfit is beautiful! Love the clutch. This is how you wear a crop top!! 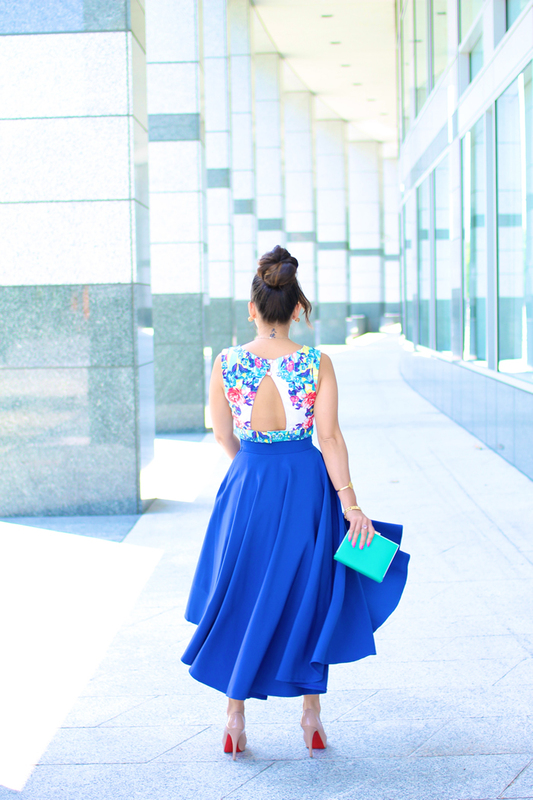 Gorgeous colors, and I love the cutout in the back of the top :) And of course, this skirt is so lovely! Hi KT, beautiful outfit and the top i’m in love with! the colors are great on you. I love wearing crop tops and high waist skirts its been my go-to style! I want to find some great mirror print pieces. just lovely!! Hi KT! 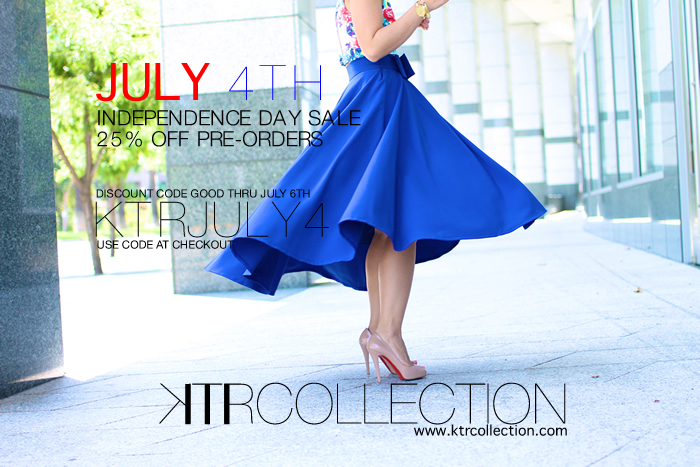 I love this skirt and want to purchase it but I don’t see the discount when I go to check out. Can you confirm if it’s before putting in my CC info? Thank you! 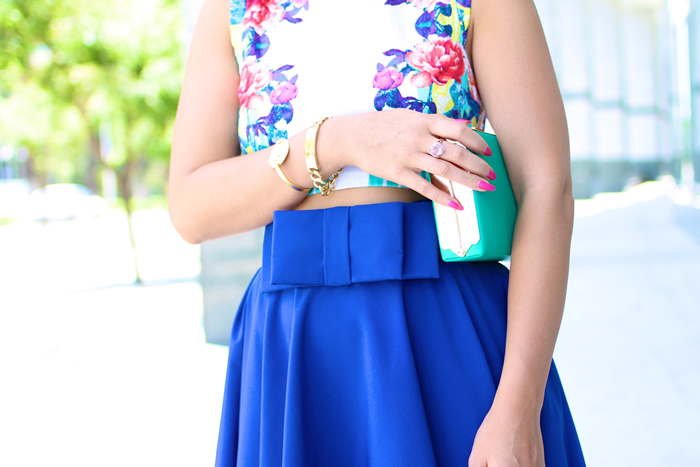 Hands down this is the most ahhmazing skirt and outfit! Hands down this is the most ahhhmazing look! You look gorgeous, love that skirt.